All-inclusive. 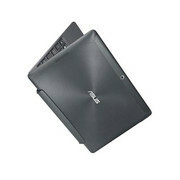 Asus continuously refreshes its Transformer Pad series. The new Transformer Pad TF701T is a high-resolution 10-inch tablet that is supposed to compete with notebooks. It is equipped with a powerful Tegra 4 SoC clocked at 1.9 GHz, 32 GB flash storage and an IPS display, so the review unit might also be interesting for business customers. 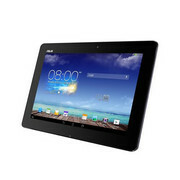 There is a lot to like about the new Asus Transformer Pad TF701T. It's powerful, has a fantastic screen, and offers the additional functionality of a keyboard and trackpad. But all of this comes at a price. When it is made available in late February from Harvey Norman, the Transformer Pad TF701T will have a recommended retail price of $799. 80% Can Asus' next Transformer Pad iteration still cut it? For those looking at a dual-purpose device, something that can be used on the morning commute to watch movies and play games with an easy switch to the creation of a word processing document for work, there is little that the Transformer Pad can do wrong. At least, that was a few years ago. The sheer power that is inside the iPad Air, with its 64-bit A7 chip, means that it runs exceptionally smoothly and the base model matches the Transformer Pad for price. 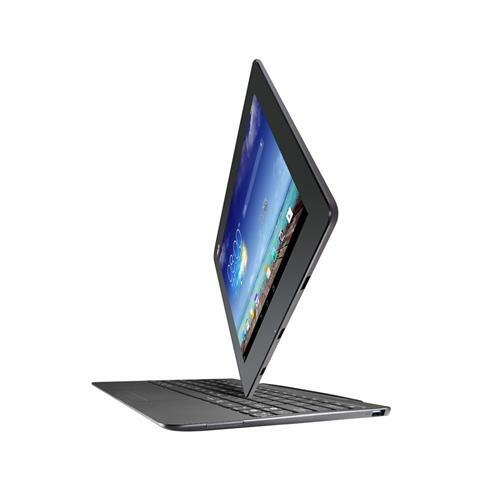 The Microsoft Surface 2, and touch-enabled netbooks and laptops, also give the Transformer Pad a lot of competition. We were already fans of the Transformer Pad Infinity. The Transformer Pad TF701 takes that concept and - with the exception of its unnecessarily ugly letter and number combo name - makes it better. And more affordable. What’s not to like about that? Great screen resolution, solid battery life, and all-round sturdy build quality given the price point are obvious plus points. There’s a lot to be happy about. Whether you choose to use it as a tablet-only device - and it is lighter than the original iPad - or a sort-of laptop replacement with the keyboard dock, there’s a lot of life to get from the TF701. This is Android taking on Windows 8.1 RT Surface 2 territory and, for our tastes, winning. We’ve found the keyboard-docked Android device to work a treat for the most part thanks to 1.9Ghz Tegra 4 that is powerful enough to deliver for those daily needs. At £434, the TF701T isn't prohibitively expensive. Remember, for that money you're getting an extra battery, keyboard, and connectivity that's unrivalled among Android tablets, as well as a good dollop of storage, with 32GB as a base. However, with that slightly disappointing display, it doesn't quite hit the heights we'd expect at this price. For a 10-inch tablet, the $429 Transformer Pad TF701T packs an excellent high-res screen and superior sound, providing a compelling multimedia and gaming experience. We also appreciate ASUS' software enhancements, even if they don't go as far as Samsung's TouchWiz features. However, ASUS' design doesn't exactly wow, and the TF701T is bulkier than some competing slates. There's no denying the raw power and stunning display you get with the Asus TF701—it's what you don't get that's problematic. You don't get the keyboard dock. You don't get real multitasking. You don't get Microsoft Office or other Windows apps that make the optional keyboard dock really useful. 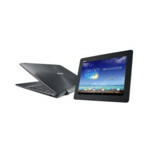 Hybrid Android devices like previous Transformer Pads made nice proxies for laptops when affordable, portable, and proficient laptops were few and far between. That's no longer the case, though, and as more and more sub-$400 Windows tablets emerge, I suspect we'll start seeing fewer and fewer hybrid Android devices like the TF701. 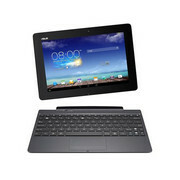 Previous generations of Asus Transformer tablets felt like beta versions of a brilliant concept – the Prime’s connectivity issues and the Infinity’s slightly underpowered Tegra 3 processor left them struggling to realise the potential of the tabbook form factor. Once you’re done with work, it’s plenty powerful enough, and just about portable enough, to go toe-to-toe with the top tier of Android tabs as a gaming and media device, too. If you can get past its large bezels and slightly hefty weight and are looking for a tablet for work as much as play, then you can’t go wrong with Asus’ best hybrid yet. 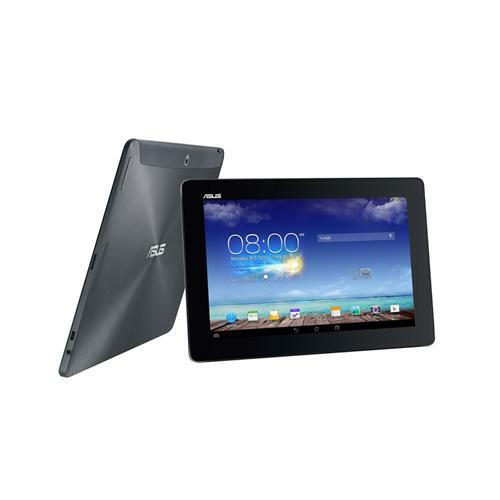 The Asus Transformer Pad TF701T takes everything that was good about the Infinity, updates it and sells it at a lower price. The tablet part alone isn't tremendously elegant in some respects, but this is a great package. Positive: Durable; ultra high resolution of the screen; convenient docking station; useful preinstalled applications; high performance. Negative: No MicroUSB port; not good camera. 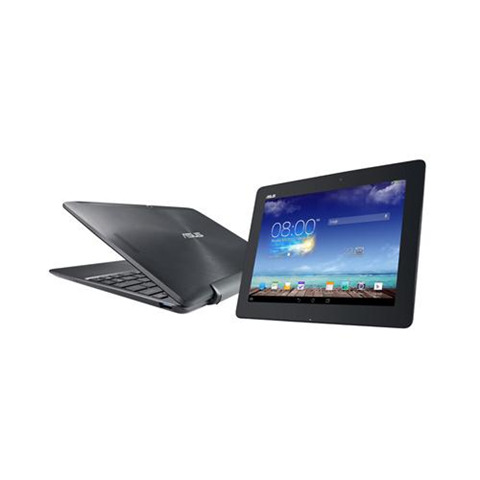 The Asus Transformer series initially focused on productivity, especially with the excellent keyboard dock attached. The build looks solid with anodized aluminum casing, patterned with etched circles and sharply tapered edges. The device is slightly larger and heavier than the previous model with a weight of 585 g.
The display is a 10.1” LED Backlight screen with 10 finger multi-touch support. 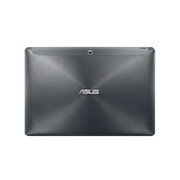 Powered by an NvidiaTegra 4 Quad Core, 1.9 Ghz processor and 2 GB RAM, the device is capable of handling everyday tasks. The storage configurations are either 32 GB or 64 GB with the capability to support MicroSD up to 128GB. The battery life is expected to last up to 17 hours powering both the Android 4.3 pad and its dock. Other hardware include a 5 megapixel rear camera and a 1.2 megapixel front camera, a micro HDMI port, 2-in-1 audio jack/microphone and premium speakers with SonicMaster technology. 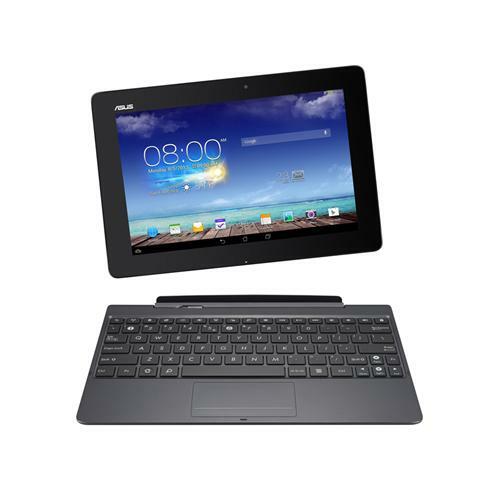 The mobile dock features an USB 3.0 port and an SD card reader and weighs 1135 g.
In conclusion, the Asus Transformer Pad TF701T is among the best when it comes to multitasking. The stunning display coupled with the docking system makes it a joy to use but the latter is an optional attachment requiring additional purchase.